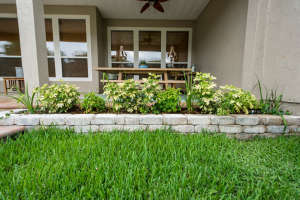 Landscape design ideas in the front yard need to lead the eye from the street through your lawn to your front door. Over grown trees and hedging make your home look smaller and you lose the line of focus to the door. 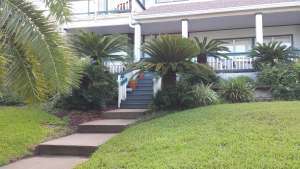 Well placed accent trees can add shade but too close or too large and they hide your home making it dark and uninviting. 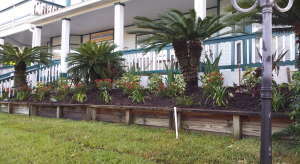 Just as important are the trees in landscape design but also the variety of accent plant chose for your temperate zone. Evergreens are the backdrop and anchor for perennials and annuals for your climate. 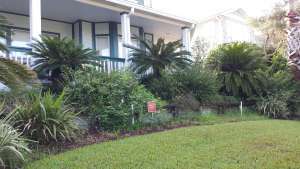 Landscape design which contains too many perennials will look sparse and dead in the winter. 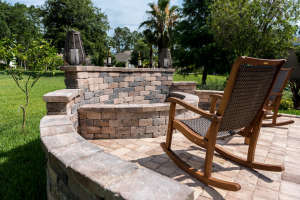 Likewise not incorporating them into the overall design will cause your landscape to look the same throughout the year. 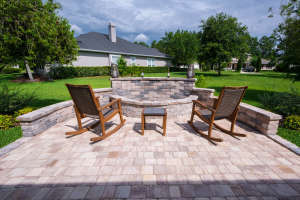 Hardscape is another landscape design element which can instantly add interest to your home. Elevated planters, retaining walls, stairs and paved plateaus are hardscape architectural elements used to add square footage living space to your yard and the pathways which connect the outside to the inside. 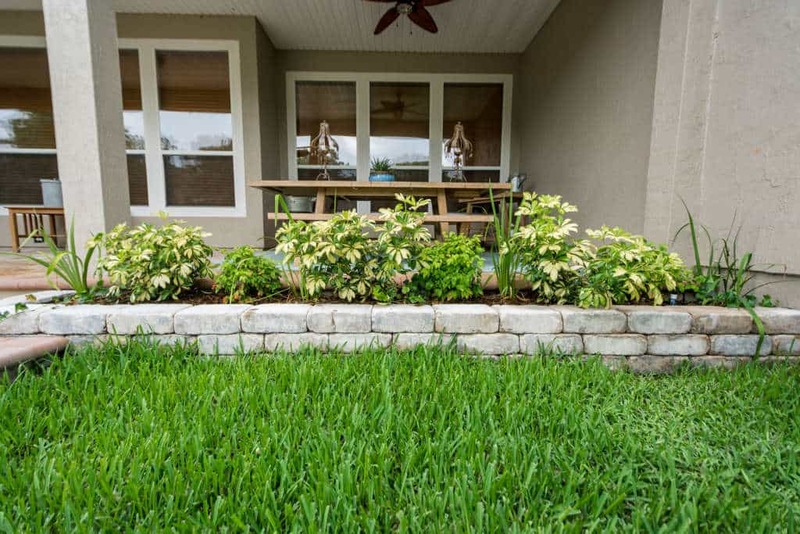 The first set of pictures shows how over grown landscape can make your home appear smaller than it is. By replacing the landscape material with size appropriate plants the house looks larger and more inviting. 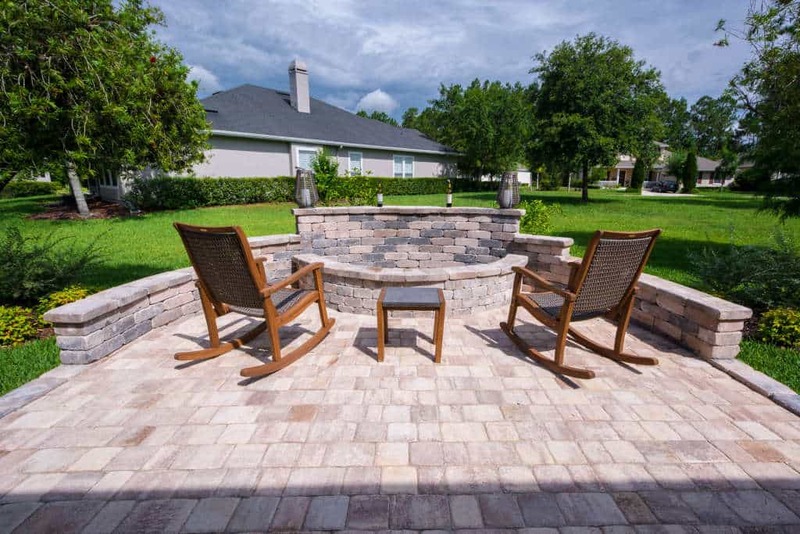 The second set of pictures uses hardscape materials to add square footage to the home.